You cannot imagine how exhilarating it is, to write about your hometown, especially with this unique occasion! I could go on and on for hours, speaking about its rich history, about the great cultural traditions we have here and much much more, which will eventually reveal the special beauty of the second largest city in Romania! Simply put: you have to come here. 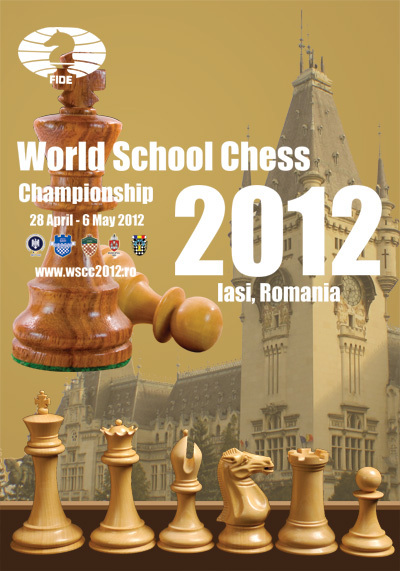 If not for chess, than for the social experience, which makes it a wonderful destination for the accompanying persons. which you can see through your hotel window, if you are lucky enough! So my suggestion is: if you are a trainer or a parent and your children are playing chess (the age shouldn't exceed 17 y.o. ), this is your chance - come to Romania at the end of April (which is by the way a perfect moment to visit our beautiful country, otherwise is getting way too hot in summer time) and I can almost guarantee you won't regret that. Why Iaşi?! How come that a so called 'obscure' city (for those in the know it's crystal clear why) has the honor to organize such a respectful and serious competition? 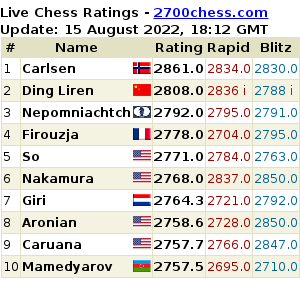 First of all (and I am objective, even though it's my beloved city we are talking about), chess has a long tradition here - thus: experience. You can find more information about our chess movement and about the devoted team which never sleeps nor rests, spreading the chess word faster than a virus, in one of my previous articles. In other words, you will be in good hands. There are a few practical obstacles though, like with any other good thing: you cannot easily get it. The terrible infrastructure is probably one of the common things you hear when someone mentions Romania, along with Dracula, Transylvania, gypsies and corruption. BUT! You are talking with professionals here and if you take a look on the official website, all your questions will be answered. For all details regarding the participation, fees, registration (DEADLINE IS 15th MARCH! ), payments, accommodation, visas, schedule, travel, prizes and so on, check the regulations. 1. Since I travel a lot, usually back and forth Romania - Holland, I would suggest you book your flight with the final destination: Iaşi. 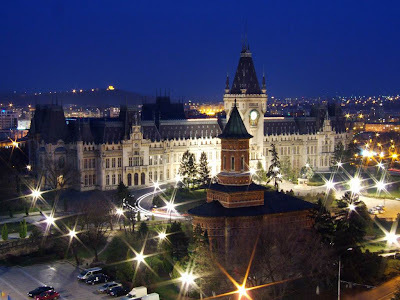 The other airports mentioned in the regulations are also possible but Chisinau (the capital of Moldavia), means extra time at the customs and an extra possible visa requirement. 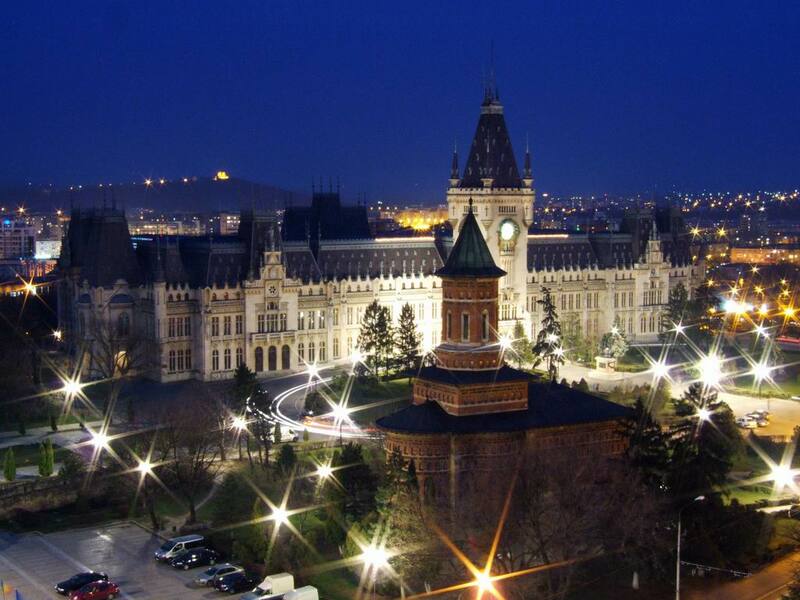 If you come via Bucharest and you plan to take a train: forget it! It takes 7 hours with the so called speed train and you should really consider taking the official tournament transportation: the bus. It will still take 6 hours (we don't have highways), but at least you will be picked up from the airport, avoiding the mess of finding your own way. 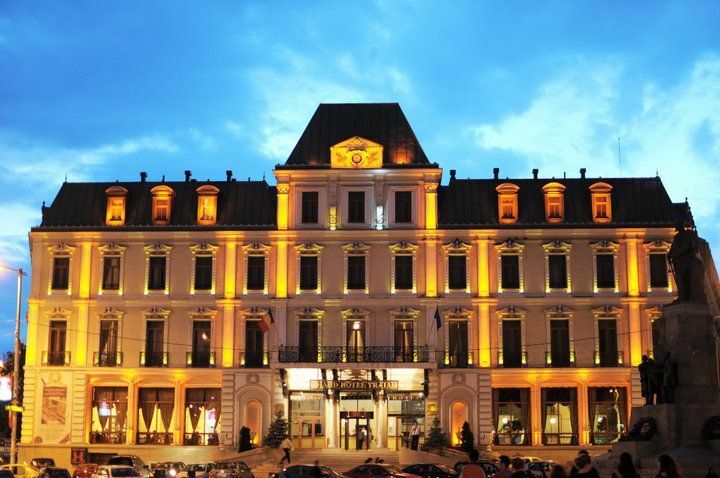 d) Air Vallee: starting with 25th March 2012; affordable direct flights Iasi - Torino (Italy). 2. Regarding the accommodation: That's a difficult one, since all hotels are competitive and they offer good value for the price. They are all close to the city center, to the tournament hall and all other tourist attractions. 'Moldova' and 'Unirea' were recently renovated, 'Ramada' is brand new and modern, while Traian is a very elegant hotel, an architectural masterpiece of Gustave Eiffel (I guess you know the Eiffel Tower from Paris?!). I cannot choose for you, since people have different needs, but you can browse their websites and decide accordingly. What else should I say? You can contact the organizers with all your concerns and maybe we meet here in April-May?! I will be there, maybe as an arbiter as well, but for sure to make reports and pictorial impressions! The other one many of these replica rolex uk model might be from Gucci Looks after, that had been produced from a particular German business enterprise formed from Guccio Gucci through 1921 through Florence. Such looks after are actually thought of as associated with the main 100 virtually all replica rolex daytona labels from looks after. Typically the label has also garnered on the subject of check out. step 2 billion money all over the world as per the state through '08. Gucci is furthermore believed to be some number one merchandising German label. A second designate in your a line principally fake rolex uk cherished label will be Titan Looks after, that may be due to typically the thirteen time out of date business enterprise Titan. Ultra powerful not to mention avant-gardist, it's actually a pebbly virtually all environment fake rolex watches athletic delving timekeeper accompanied by a self-winding circulation of which contains a forty two numerous hours capability park barometer, big smallish a few seconds create an account and then a good sized big day showcase. You too can decide upon Botta-Design suitable for you which could force you to take a look the right. If you have had fake rolex long been especially non-connected through wedding users and attendents preferred services therefore you want to grab yourself prepared get the right final choice out of your blog You too can pick up options to select from the multitude of completely different concepts from Citizen looks after which could force you to turn up very cool when ever replica watches uk most people wear it. You furthermore mght don't need to pay a lot of profit to help get the preferred Botta-Design suitable for you.